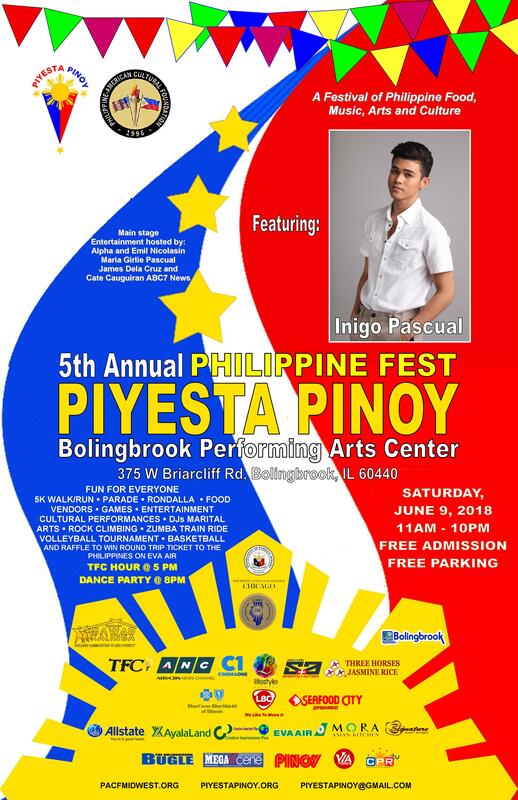 at Bolingbrook Performing Arts Center. 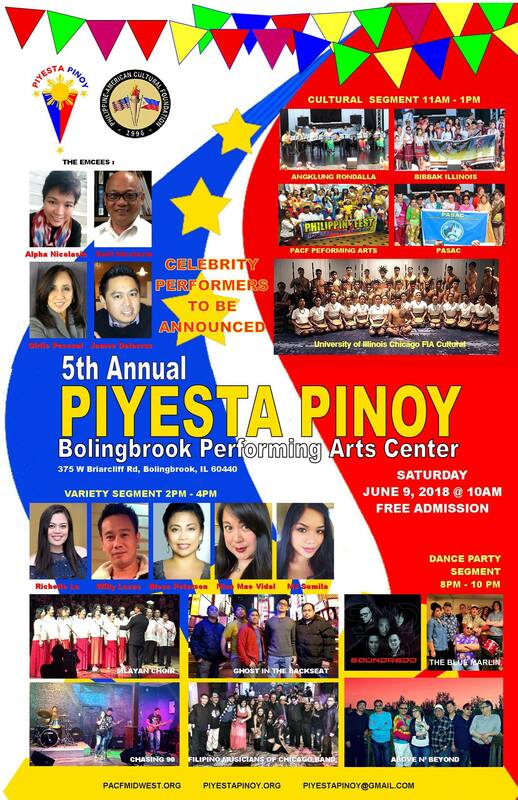 Cultural Segment 11AM-1PM: Silayan Choir, Chicago Anklung Rondalla Ensemble, BIBBAK Illinois, PACF Performing Arts, PASAC, Lane Tech Filipino Club, Kulturo and University of Illinois Chicago FIA Cultural. 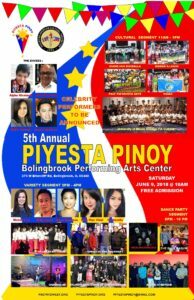 Dance Party Segment 8PM – 10PM: Above N’Beyond Band, The Blue Marline Band, Soundredd, and more.